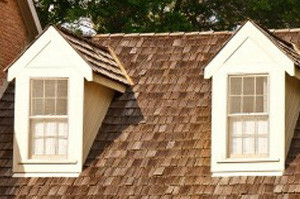 Shingled Roofing | Cedar Shake Roofing | Slate Tile RoofingNaperville Exteriors, Inc.’s objective has always been to provide its customers with the finest roofing services in the industry. We are widely recognized for using a proactive method to roof repairs by urging homeowners to allow us to prevent roofing problems before they ever begin. As a result, our customers within the Greater Chicago Metropolitan Area have been able to save thousands of dollars in roof repair and roof replacement costs by using our comprehensive approach to roofing maintenance. By making use of preventative measures, you will see why quality roof repairs are often a less expensive alternative to total roof replacement. Customers trust that Naperville Exteriors, Inc. will never push them into getting a roof installation, if they only need a roof repair! We provide a complete line of roofing services to restore your roofing to its original condition. After we complete our on-site inspection of your roof, we will pinpoint the existing problems and work with you to determine the most affordable solutions. For more than a decade, we have been delivering residential roofing services to homeowners and business owners in the region. Our experts are of highly-skilled roofing contractors who are committed to delivering the most reliable roof repair, total roof replacement and roof installation to our customers’ complete satisfaction. Lately, Naperville Exteriors, Inc. has been engaged in roof installation of a wide range of roofing products for customers in Tinley Park. Tinley Park, Illinois is located mainly in Cook County with a small part of it located in Will County. There are nearly 57,000 residents who live in Tinley Park. In 2009, Business Week cited Tinley Park as the “Best Place to Raise a Family in America.” Tinley Park’ homeowners and business owners consider Naperville Exteriors, Inc. as the best answer to all of their roofing needs. Recognized as a leader in roof repair, roof replacement and roof installation, our roofing contractors are well known for having the highest quality of craftsmanship, product knowledge and professional follow-up with clients. Much of our repeat roofing business in Tinley Park originates from referrals and repeat customers. If you are planning on having us handle your roof repair or roof replacement, we will provide you with the kind of information that will help you decide the most suitable roofing system for your home and your budget. Although price and durability may head your list, visual appeal and style are extremely important to Tinley Park’s residents. No matter the kind of roofing you want on your Tinley Park home or office, you will be able to rest knowing that our roofing contractors will have the answer. When our customers are contemplating having us take care of their roof repair, roof replacement or roof installation, Naperville Exteriors, Inc. will be able to handle each aspect of your roofing project for your home or business. In addition, our company is well-known for its complete roof replacement for the most economical prices possible! If a new roof replacement or roof repair is in the near future for your home or business, Naperville Exteriors, Inc. is the only name you need to know! To learn more about our roof repair, roof replacement or complete roof installation, call us today at: (630) 254-4831. You will be glad you did.